يشكل فندق أوكس متروبول بموقعه الممتاز في المدينة نقطة انطلاق جيدة لاستكشاف أفضل ما فيها من معالم ومناطق نابضة بالحياة. يمكن من هنا للضيوف الاستمتاع بسهولة الوصول إلى كل ما تقدمه هذه المدينة النابضة بالحياة. يضفي محيط الفندق اللطيف وقربه من أكثر المعالم السياحية جذبًا سحرًا خاصًا على هذا الفندق. استمتع بالخدمات الراقية والضيافة التي لا مثيل لها بهذا الفندق في هذه المدينة رائعة الجمال. يمكن للنزلاء الاستمتاع بالميزات التالية: مرافق مخصصة لذوي الاحتياجات الخاصة, تسجيل وصول/مغادرة سريع, تخزين الأمتعة, واي فاي في المناطق العامة, موقف سيارات أثناء إقامتهم في هذا المكان الرائع. تنعكس أجواء فندق أوكس متروبول في غرف الضيوف.مناشف, تلفزيون بشاشة مسطحة, صوفا, بياضات, اتصال لاسلكي بالإنترنت هي بعض الميزات الموجود في العديد من الغرف. صممت خدمات الاستجمام في الفندق والتي تتضمن مركز للياقة البدنية, مسبح خارجي, حديقة, غرفة ألعاب لمساعدتك على الاسترخاء والراحة. مهما كانت أسبابك لزيارة المدينة، فإن فندق أوكس متروبول هو الخيار الأفضل لإقامة مثيرة وممتعة. يُرجى ملاحظة أن ساعات عمل مكتب الاستقبال تبدأ من الساعة 06:00 صباحًا إلى الساعة 11:00 مساءً طوال أيام الأسبوع. وبالنسبة لمَنْ سيصلون في غير هذه الساعات، يرجى الاتصال بالفندق مباشرةً لترتيب استلام المفاتيح بعد ساعات العمل. 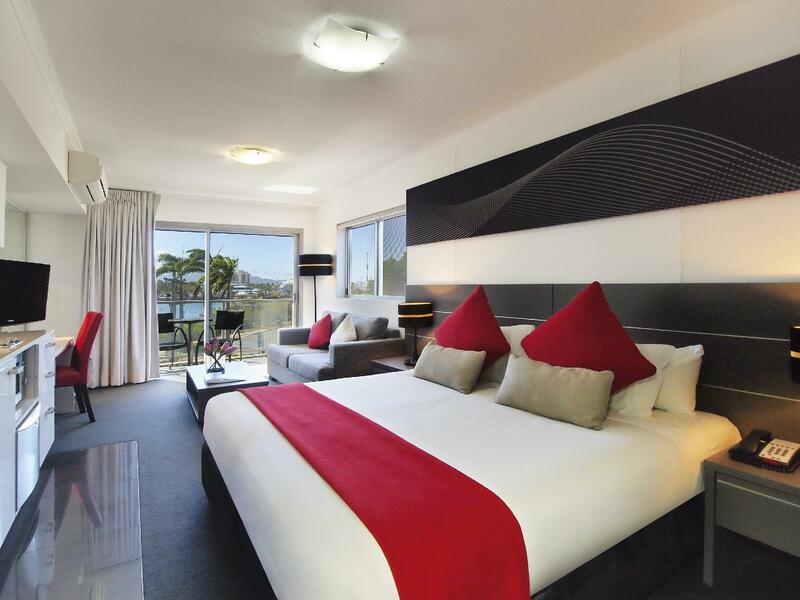 This property is well located in South Townsville near the cbd. It is an area with plenty of restaurants and has the added bonus of having an old style pub attached to it. Parking is easy. The rooms are large and well appointed. 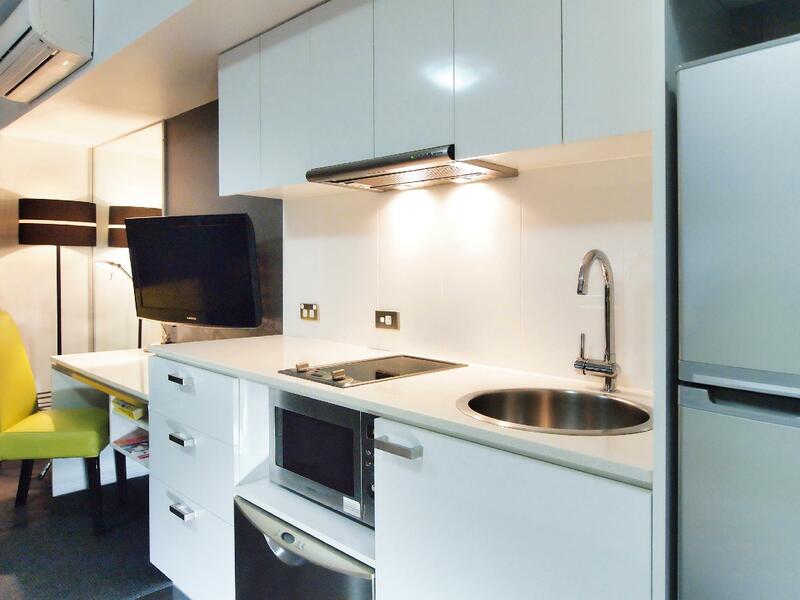 The room is fully equiped with modern kitchenette and washing machine as well as tumble dryer. It's very comfortable room and very clean. The gym is okay. Need to be improved. The restaurant is really nice. Had very delicious breakfast and dinner there. The staff are very helpful and friendly. The kitchen area had fat residue over the cook top nobbs and surrounding. Got there at 9 and struggled to find the small alley like entrance with lack of signage , aircon in the room also was not cold and hardly put out much air but the room it’s self was very nice and comfortable. This Oaks hotel is a great choice for a weekend getaway or a longer stay. The rooms were spotless and all facilities in perfect condition. The only complaint we have was that the doors into the rooms had very noisey lock mechanisms which meant that each time you needed to close the door in echoed really loudly which may have annoyed those in the next room. Apart from that it was great. Friendly and efficient staff topped it off. Definitely recommended. We arrived late Friday. I started to do a load of washing on Saturday morning and the washing machine leaked water everywhere including on to the carpet. I was told a repairer would be out on Monday. I endured a very smelly room replacing wet towels on the floor and carpet all weekend. I asked to be moved and the receptionist said I would need to pay an extra $40 PN for an upgrade. I was not prepared to hand over another $200. On Tuesday I started the washing machine. Alas, no repairer had come. Water leaked out again. A gentleman by the name of Andrew came to my room. He apologized for the terrible inconvenience and offered to move us with an upgrade to a city view. Thank goodness for this gentleman. I'd hate to think where this hotel chain would be going if not for him. It's because of him, I will give the Oaks chain another chance. Thank you Andrew. I do find it in very poor taste to charge an extra $2 per bath towel. My 2 grandchildren were coming for a sleepover and the receptionist was only too eager to want to charge me for extra bath towels. Hence, my grandkids brought their own. Excellent spot for a break. Room had a view of the river and the hotel is right in the heart of the restaurant/nightlife precinct. Quiet, secure onsite parking, great facilities. Would stay here again. My boyfriend and I always come to Townsville for a holiday. We've stayed at many hotels before & this one would definitely be our favorite! We didn't have time to check out the Met Hotel but will be going there on our next stay. Absolutely loved it here. 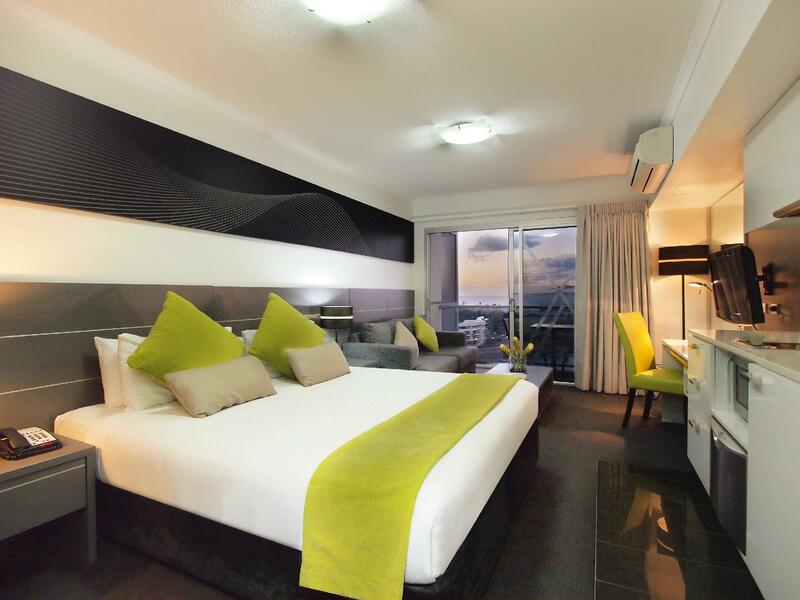 Comfy modern hotel with well appointed rooms. Good value ..
room is very small but there are all facilities. I've been staying here almost since this place first opened. It's now definitely showing it's age and it's in need of room refurbishment. They are definitely not as nice as they used to be. Really I think they were built on the cheap and not good quality. The carpet in the elevators is now threadbare, so that's not a good first thing to see. I hope they do something about it soon as they have some stiff competition just down the road. Hi Steve, Thank you for your loyalty - we enjoy having you stay with us regularly. I joined the team at M on Palmer recently and have been working on identify maintenance works required and scheduling this for completion as the building is now 8 years old. I am please to advise that among several other items recently completed, the lift carpets were replaced just last week! You must have only just missed the new carpet on your last stay. We look forward to welcoming you back as we continue to develop and improve our product. 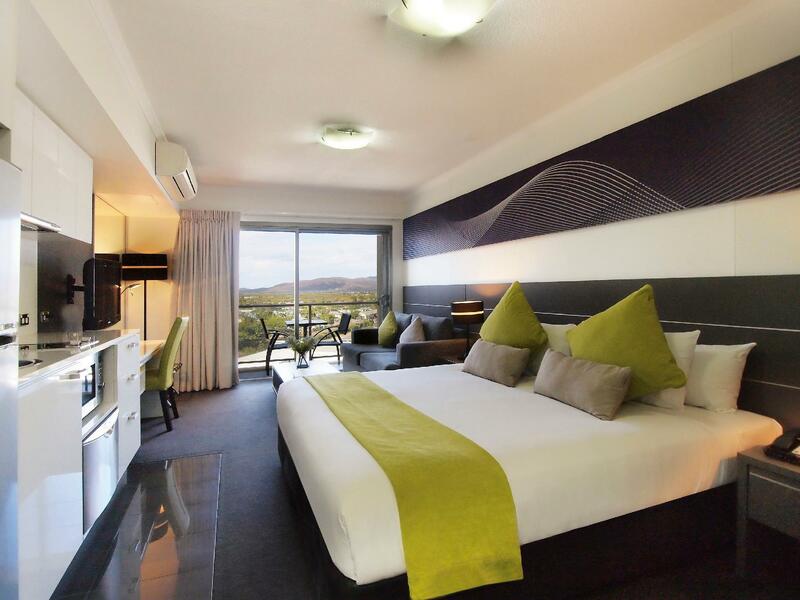 Being first time visitors to Townsville it was a little hard to find as it is not well advertised where reception is from the street but apart from that the room was fine apart from a slightly noisy air conditioning system. We were on the top floor & had great inland views, stayed two nights & enjoyed the restaurants located within walking distance. We would stay again. the location of the studio was most unsatisfactory. It was dark with no outlook whatsoever. plus it was looked into by a noisy backpackers hotel next door meaning I couldn't even keep my door open due to the noise. 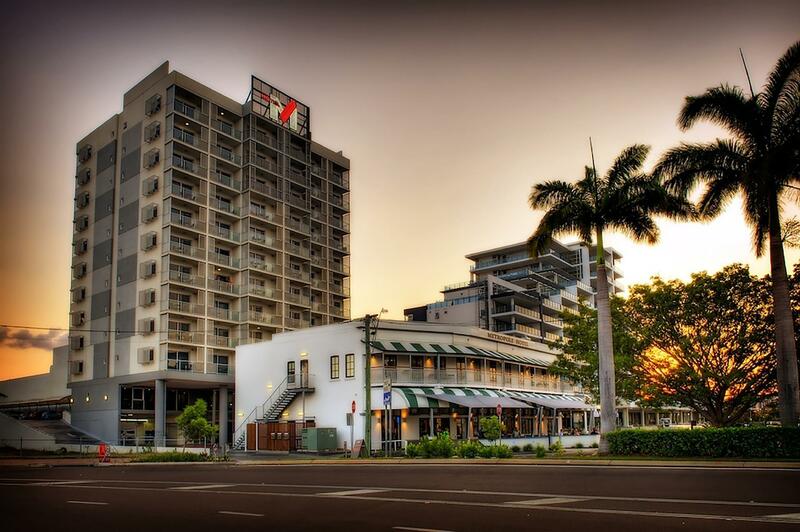 this is the 3rd time I have stayed at an Oaks property in Townsville over the past year and I would never stay at M on Palmer again and would not recommend it. View from the room. So convenient to restaurants. Easy walk to the city of Townsville. Desk staff uninterested, I was there for 5 days I was only greeted once by a staff member. Upon my checking out was not asked about my stay, not asked was everything suitable. Just bloody slack and clearly need to get a kick up the old proverbial. Lovely room with a not so lovely view. It felt slightly dungeon like as I looked out onto a brick wall and over the bins so didn't take advantage of the balcony. However, I only stayed one night so wasn't stressed about it. Staff were very helpful and food from the Indian restaurant was great.